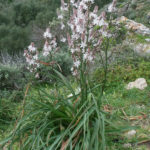 Asphodelus aestivus is an attractive perennial with gray-green, narrow, sword-like leaves up to 18 inches (45 cm) tall and spikes of white, star-like flowers that rise above the foliage in late spring to an overall height of 2 to 3 feet (60 to 90 cm). 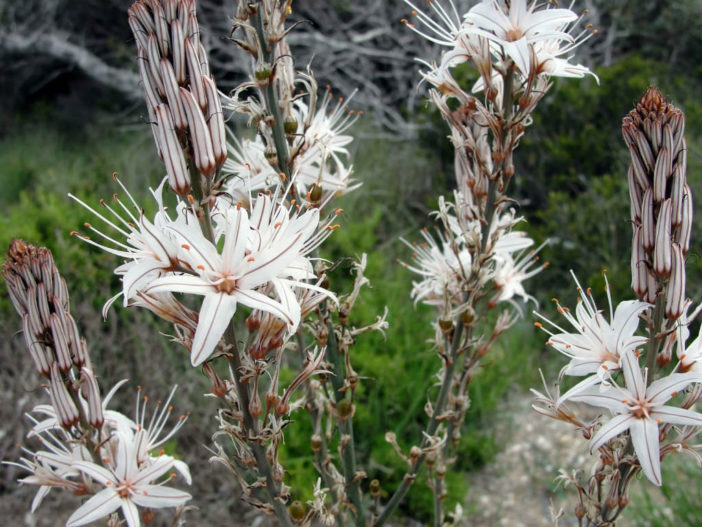 The 1 inch (2.5 cm) wide flowers have thin, brown midstripes on the petals and first open at the bottom of the spike and proceed upward to the top over a period of several weeks. 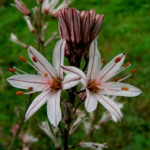 Grow Asphodels in moderately fertile, well-drained soil in full sun. 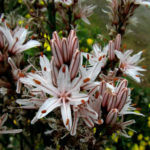 Does not tolerate heavy, poorly-drained soil. Irrigate occasionally to very little in coastal gardens. 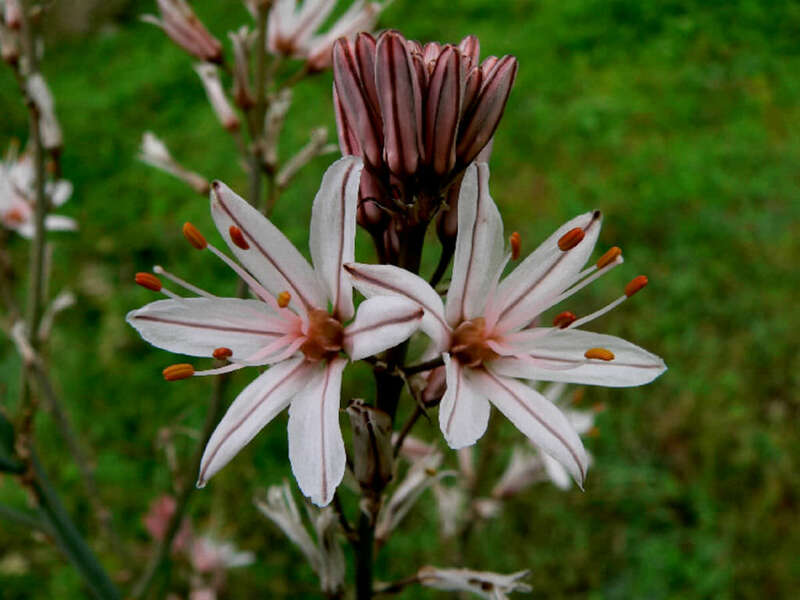 Considered hardy to USDA zone 6. It tolerates temperature down to 14ºF (-10ºC). 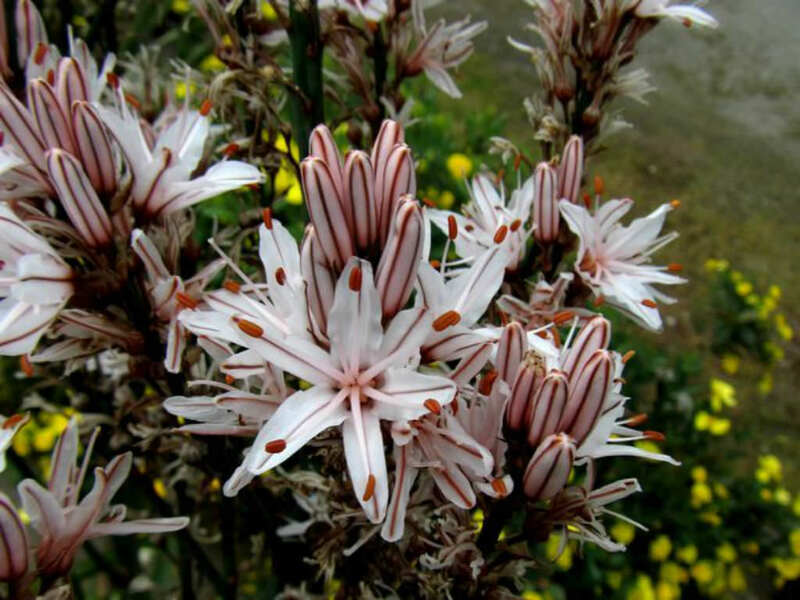 Great as a border or accent plant. 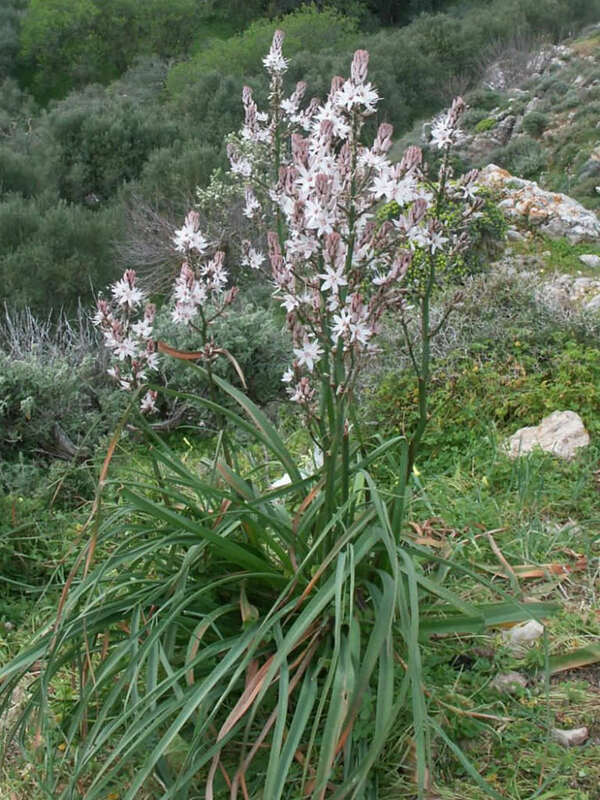 Native to dry slopes, pastures, pine forests and mountainous regions of from the Canary Islands and North Africa east across southern Europe and southwest Asia to Iran.